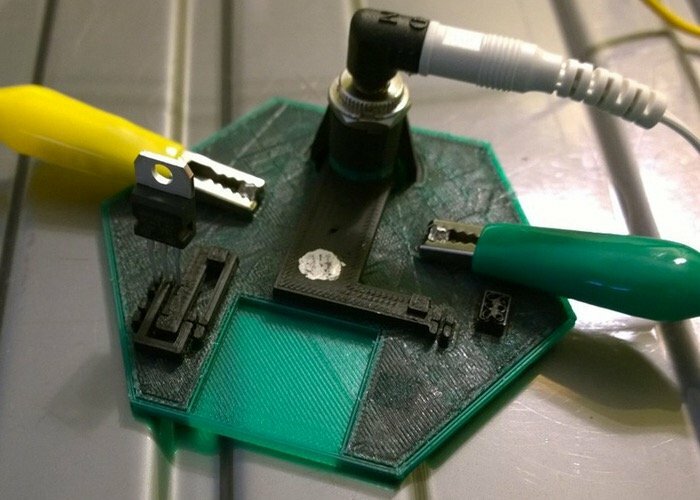 Makers, hobbyists and developers that are looking for a conductive 3D printing filament may be interested in a new project which is launched from the Kickstarter crowdfunding website by Michael Toutonghi from Functionalize who has created F-Electric. F-Electric is an ultra-conductive 3D Printing filament which has been specifically designed to enable you to integrate electromechanical connections inside your 3D printed creations. Watch the video after the jump to learn more about the F-Electric project and see it in action. Functionalize is looking to raise $100,000 in pledges to make the jump from concept to production. So if you think F-Electric is something you could benefit from, visit the Kickstarter website now to make a pledge and help the new F-Electric conductive 3D printing filament become a reality via the link below. “Introducing F-Electric, 3D printing filament from Functionalize. We 3D printed a first-of-a-kind key chain LED flashlight to demonstrate the world’s most electrically conductive printing filament enabling electronic or electromechanical capabilities. With F-Electric, you can design electronic or electromechanical capabilities right into the structure of your parts. Seriously, you can 3D print complete electrical circuits, sockets, switches, buttons, and connectors in your 3D printed structures with motors, active components, and chips connected by plastic and placed with 3D printed precision, exactly where they make sense. It even works with today’s 3D printers that print in PLA, so you don’t need a new kind of printer!